Andrew Lownie was born in 1961 and was educated in Britain and America. He read history at Magdalene College, Cambridge where he was President of the Union. 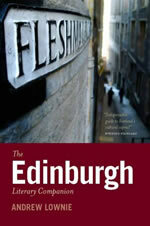 He went on to gain an MSc at Edinburgh University and spend a year at the College of Law in London. After a period as a bookseller and journalist, he began his publishing career as the graduate trainee at Hodder & Stoughton. In 1985 became an agent at John Farquharson, now part of Curtis Brown, and the following year became the then youngest director in British publishing when he was appointed a director. Since 1984 he has written and reviewed for a range of newspapers and magazines, including The Times, Spectator and Guardian, which has given him good journalistic contacts. As an author himself, most notably of a biography of John Buchan and a literary companion to Edinburgh, he has an understanding of the issues and problems affecting writers. He is a member of the Society of Authors and was until recently the literary agent to the international writers' organisation PEN. In 1998 he founded The Biographers Club, a monthly dining society for biographers and those involved in promoting biography, and The Biographers' Club Prize which supports first-time biographers. Andrew Lownie has contributed an article ‘How to submit a non-fiction proposal’ to the 2019 Writers’ & Artists’ Yearbook. According to publishersmarketplace, Andrew Lownie is the top selling non-fiction agent in the world with 51 recorded deals over the last year. He is also no 1 in biography. The agency is no 1 for UK non-fiction and no 2 world wide in biography. The agency is also the third top sellling agency in the world for reference. According to publishersmarketplace, over the last year Andrew Lownie is the second top selling agent in the world and the top agent for non fiction . He has 41 recorded sales for the last twelve months . 1 in International rights: UK Non-fiction. 1 in Non-fiction: Biography worldwide. 2 in Non-fiction: History/Politics/Current Affairs worldwide. Andrew Lownie has been selected as one of twenty fellows from some 200 applications from 34 countries for the Istanbul Tanpinar Literature Festival Professional Meetings Fellowship Program this year. The Istanbul Tanpınar Literature Festival holds international events for professionals in its Fellowship Program to encourage collaboration among authors, publishers, editors and translators from both Turkey and abroad. Since its first launch in 2011, ITEF has hosted 124 professionals from 30 countries in Istanbul. This year, ITEF’s seventh professional publishing fellows program is going to give its 20 participants a chance to learn the Turkish publishing market. There will be presentations about Turkish publishing and networking events will be organized for the fellows, who will also have the chance to meet several prominent Turkish authors and ask about their career in Turkey. Fellows will visit publishing houses and share their experiencess in one on one meetings throughout the three day program. At the same time they will be able to learn about the Turkish literature market from the inside out and will be knowledgable about the works which are available for translation from Turkish into foreign languages. He is no 5 top-selling agent worldwide across all categories with 37 announced deals over the last twelve months. 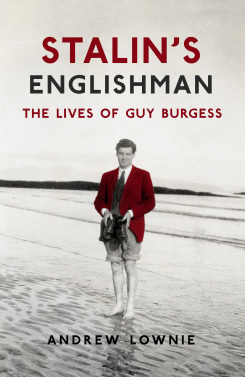 Stalin’s Englishman: The Lives of Guy Burgess has won the St Ermin’s Intelligence Book of the Year award. Adam Sisman’s John le Carre: The Biography was the runner-up. Andrew Lownie single handed is a top ten world agency according to Publishersmarketplace, with forty-one deals in six months, ahead of major companies such as Sterling Lord, William Morris and Janklow & Nesbit. According to publishersmarketplace, Andrew Lownie continues to be the top selling agent in the world with thirty-five books sold in the last six months, five books ahead of his nearest rival. 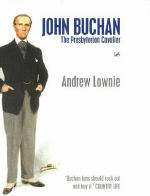 John Buchan biographer Andrew Lownie discusses the great man’s life and work in this interesting interview. According to publishersmarketplace, Andrew Lownie is the second top selling agent in the world with thirty three deals in the last six months just behind Jill Marsal , who specialises in women’s romance, at thirty six. Hartswood Films, the makers of Sherlock, have optioned drama rights in Andrew Lownie’s Stalin’s Englishman: The Lives of Guy Burgess. The Independent has selected Andrew Lownie’s Stalin’s Englishman as one of its 10 best history books. The Agency has two books in the top three ( from seven titles) in this year’s Times Biographies of the Year - Stalin’s Englishman and No More Champagne. Andrew Lownie talks about the obstacles facing historians trying to use the Freedom of Information Act to access government files in a podcast for History Today. Andrew Lownie talking about his book Stalin’s Englishman. Andrew Lownie will be speaking at the Women’s Fiction Festival in Matera 24th to 27th September taking part in masterclasses and panels on thriller writing. More details here. Andrew Lownie is one of London’s thousand most influential people according to the Evening Standard’s Progress 1000 announced today. The Andrew Lownie Literary Agency describes itself as a “boutique” operation, representing an astonishing range of books, from Oxford reference dictionaries to Towie offshoots. President of the Union at Cambridge, Lownie worked in publishing before becoming an agent and setting up his own business. He has not only written a biography of John Buchan, but also has created the Biographers’ Club to support first-time biographers. The full literati list can be found here. Andrew Lownie’s new biography of Guy Burgess, Stalin’s Englishman, has been generating huge media interest, including the following piece in the Telegraph. The agency’s new website is launched today, with a more modern feel, and simpler navigation. Andrew Lownie can be seen in action in a video of the The Business Club at the Frankfurt Book Fair (begins at 0:59). If you’d like to receive it automatically each month please do subscribe. Andrew has written an extensive piece for the latest issue of Publishing Talk. According to Publishers Marketplace, Andrew Lownie remains the top selling agent in the world, the top agent for UK non-fiction, and second in the world for history and politics. In the upcoming Bookseller Industry Awards, Andrew Lownie has been shortlisted for Literary Agent of the Year, for the third year running. Andrew Lownie’s article An Insider’s Guide to How One UK Agency Places Its Writers was one of Publishing Perspectives’ top 5 most-read articles last year. There were also a number of other agency articles that were picked up in the trade press. Three top editors have written a piece for the agency website, explaining the process of commissioning books within their publishers. Andrew Lownie has retained his position as the top selling literary agent in the world over the last twelve months. The agency is delighted to announce that it will be working in future with the Greek literary agency Ersilia for placing rights in Greece. Andrew Lownie spoke at the Women’s Fiction Festival in Matera on the subjects The Writer’s Life in 2019, and The Makings of a Fantastic Thriller. The Agent Hunter website has carried out a study of UK literary agents, describing Andrew Lownie as ‘the busiest agent in London’. The agency is also praised for being one of the most transparent in the UK. Andrew Lownie outlines the range of activities he is involved with in a typical agency week, from the mundane and routine, to the offbeat and extraordinary. The agency’s monthly newsletter is now online here. To receive it first by email you can sign up here. Both Andrew Lownie and David Haviland contribute some thoughts on the future of publishing to this month’s ‘Ideas Issue’ of New Edition. Andrew Lownie spoke this week at the Getting Published event at the University of Warwick, on the subject of The Value of a Literary Agent. Meanwhile, David Haviland was one of the guest tutors at the Paris Writers Workshop. Andrew was one of the judges for the Guardian’s new Self-published Book of the Month competition. The winner, Dinosaurs and Prime Numbers by Tom Moran, was announced today, and reviewed in the Guardian. Andrew will be speaking at St Hilda’s College, Oxford tomorrow at the Media Networking Conference on Publishing: here today and gone tomorrow?. Andrew Lownie remains the top-selling agent in the world, across all categories, according to Publishers Marketplace. He has 41 recorded deals over the last 6 months (second place has 30) and 73 deals over 12 months (second place has 64). He is first worldwide in biography and second worldwide in the history/politics/current affairs category. The agency also remains in the top ten in the world across all categories and first in UK non-fiction - with 34 deals in the last 6 months (with second place at 7 deals), and 54 deals over the last year (with second place at 15). The agency’s monthly newsletter for April is now available online. The nominees for Literary Agent of the Year, including Andrew Lownie, are profiled in this week’s Bookseller. With the London Book Fair set to open tomorrow (8th April), agents have told The Bookseller there has been a “land grab”, with some major publishers accused of refusing to publish e-books where contracts state an author royalty rate of more than 25%. The Society of Authors (SoA) has also said it is seeing “unfair” practices from publishers. But publishers denied the claims, emphasising they have strong relationships with agents and always act in the best interests of authors. Andrew Lownie, of the Andrew Lownie Literary Agency, said he was “increasingly concerned about the ‘bullying’ approach of some major publishers”. “An area of concern is publishers trying to unilaterally impose a 25% rate on contracts—clearly stated in the contract to be mutually agreed—arguing that that’s the ‘standard’ rate and simply uploading the books without agreement,” he added. Andrew Lownie has consolidated his position as the world’s leading literary agent, with a remarkable 44 deals in the last six months, according to Publishers Marketplace. Andrew Lownie, the best-selling literary agent in the world according to Publishers Marketplace, and recently short-listed for The Bookseller UK literary agent of the year, explains how the agency goes about selling its authors. For the second year running, Andrew Lownie has been shortlisted for Literary Agent of the Year at the Bookseller Industry Awards. Andrew Lownie was on the Agents of Change panel at last week’s London Author Fair, discussing developments in the roles of publisher and agent, and in particular the agency’s in-house imprint Thistle Publishing. There’s an interesting summary of the discussion here. 5.30pm. The Big Publishing Brain Storm: how can we get to where we want to be in 2020? Then on Monday, Andrew will be speaking at the Biographers Club. Andrew Lownie appeared in yesterday’s Daily Mail commenting on Les Dawson’s newly discovered romantic historical novel. Andrew Lownie talks to JJ Marsh about all things biographical. The agency’s annual survey of editors in the UK and US is generating lots of interesting in the publishing press and social media. Yesterday on booktrade.info, the surveys were the top two Most Popular stories. 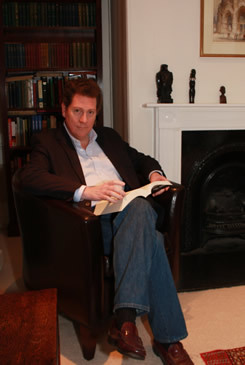 Andrew Lownie will be one of the expert speakers at the London Author Fair on February 28. The agency has launched its traditional annual survey of leading editors, who give a range of fascinating insights into current trends and tastes in publishing. According to Publishers Marketplace, the Andrew Lownie Literary Agency has now moved up to #6 among agencies worldwide. In UK non-fiction, Andrew did 51 deals in 2013, 10 of which were for six figures plus. The second-placed agent in this category made 10 deals in 2013, of which 2 were for six figures plus. Andrew Lownie will be speaking to MA Publishing students at Kingston University on Monday. Andrew Lownie will be speaking at the NGP Self-Publishing Summit on November 9 at King’s College London. According to Publishers Marketplace’s list of agents internationally across all categories, Andrew Lownie is top with 29 reported deals in six months. The agency is also first for UK non-fiction with 41 reported deals over the last twelve months - 27 deals ahead of its nearest competitor. Andrew Lownie will be on a panel entitled What is the current role of an agent and how can rights to work be sold? at the Self Publishing Summit 2013. IPR License, the global and digital marketplace for books rights, has entered into a partnership with award-winning The Andrew Lownie Literary Agency which will see an unpublished manuscript, with world rights available, selected as the monthly ‘Agents Pick’ to be featured on a special promotion to over 50,000 publishers in over 90 countries. In addition, the chosen work will also receive a professional written critique. Andrew Lownie will be the guest speaker for The Guardian’s course on ghostwriting on 12-13 October 2013. Agents are reporting strong sales for in-house e-book ventures, with their success helping to generate better publishing deals for their clients. To mark the agency’s 25th anniversary, Andrew Lownie held a small celebration last night at Westminster Abbey, to thank all the writers, editors and friends whose talents have contributed to this milestone. Here’s to the next 25 years! Andrew Lownie will be speaking at the Editech conference in June, contributing to a session on the subject of ‘Authors, publishers and agents in the self-publishing era’. At this year’s London Book Fair, Andrew Lownie took part in a panel discussion on The Future of Literary Agents, which has been usefully summarised and reviewed. The full Publishing Perspectives piece can be found here. The agency is gearing up for the London Book Fair. Andrew is profiled here . And there are some author tips from Andrew and David on Novelicious. Andrew Lownie will be judging the Earlyworks Press Biography Challenge. “I’m a great believer that all history is really biography as it’s people who generally shape events rather than inexorable historical movements. All of us, I think, are fascinated by what makes people ‘tick’ and hence our traditional love of biography. “What I look for in a biography, though it has to be totally accurate and well-researched, is what I also want in a novel – a strong narrative arc, a compelling story, the ability to set a scene, to create a sense of place and to delineate character. The closing date for entries is the 31st March 2014.